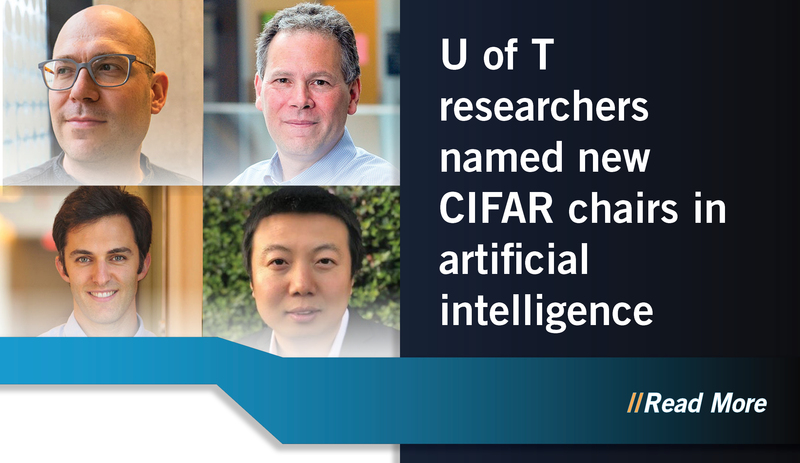 U of T researchers named new CIFAR chairs in artificial intelligence The new U of T chairs – Alán Aspuru-Guzik, David Fleet, Daniel Roy and Bo Wang – join another eight at U of T who were named among the inaugural group last fall and are all associated with the Vector Institute for Artificial Intelligence. 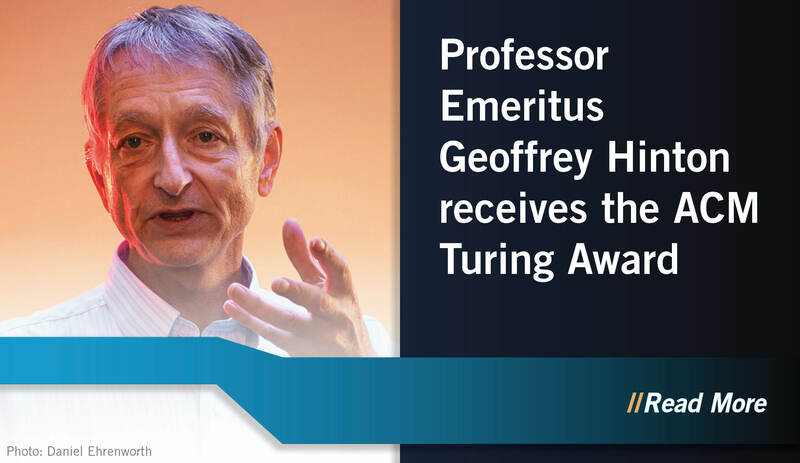 A.M. Turing Award, the 'Nobel Prize of computing,' given to Hinton and two other AI pioneers The University of Toronto’s Geoffrey Hinton has been named one of three recipients of the prestigious A.M. Turing Award – dubbed by some “the Nobel Prize of computing” – for his decades-long work advancing the field of artificial intelligence. 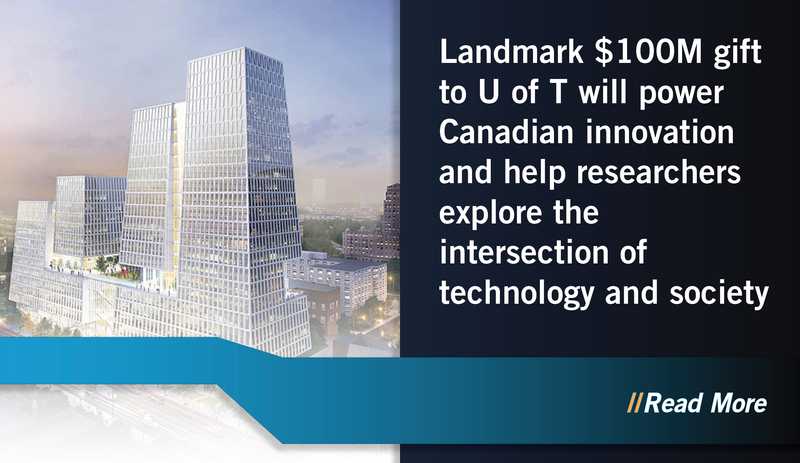 University of Toronto Transportation Research Institute Distinguished Lecture: Apr 24 A Distinguished Lecture on Cities and Complexity with Luís M.A. 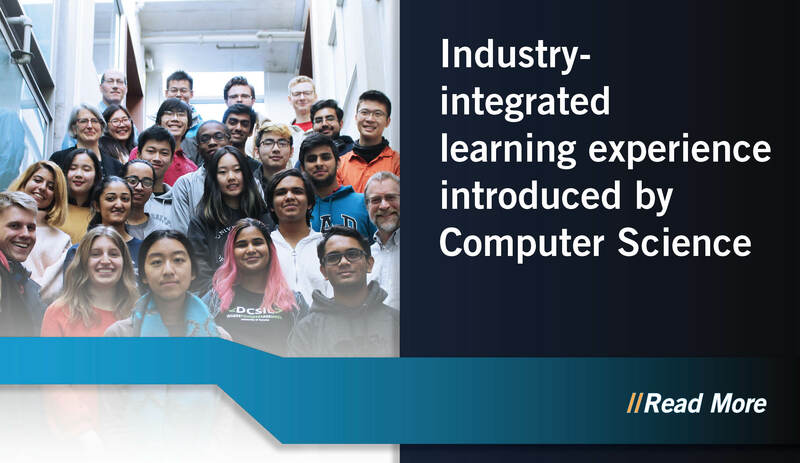 Bettencourt, followed by a discussion by Professors Enid Slack and Steve Easterbrook, moderated by Dr. Judy Farvolden.